R U S H F E S T ! 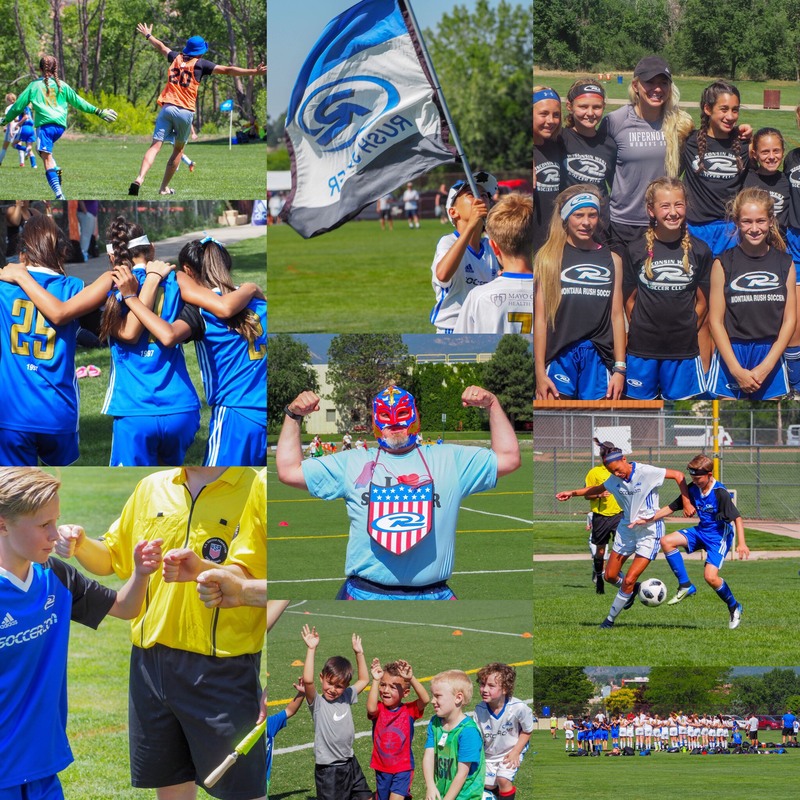 Rush Fest is an annual event held in Colorado in mid-July that brings together U12 boys and girls' teams and players from Rush clubs across the country. The week-long festival of soccer joins competitive games, training sessions, classrooms sessions and a host of social events in one of the most unique soccer events anywhere in the country. Teams compete against one another in morning games that are bracketed for like ability and afternoon training, including keeper specific training, and classroom sessions run by top coaches from within the Rush family working with the players and team coaches. The event has both an opening and closing ceremony that is often the highlight of the week as players get to hang out, dance and sing Rush songs with players from across the Rush nation and fuse life-long friendships. We do not forget the adults either with a high level coaching clinic for all coaches in attendance and a world class parent education session hosted by John O’Sullivan, founder of Changing The Game Project. The event is designed to give the players the most fun soccer experience of their life, with education, games and memories they will never forget. Share your photos! Tag @Rushsoccer on twitter, Instagram, and facebook using #Rushfest. -Rush Fest 2019 dates have been announced! Join us July 15-20, 2019 in Colorado Springs, Colorado! -Rush Fest registration for 2019 is open! -Rush Fest 2019 is open to all 2007 players.